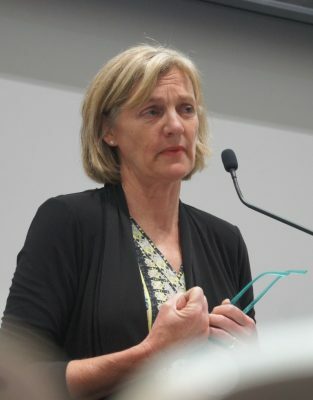 The framework for sustainable beef production in Australia is gradually taking shape and should be in place by March next year, steering group chair Prue Bondfield told a forum in Brisbane this week. The steering group was appointed to develop a sustainability framework for the Australian beef industry in February. The committee contains a wealth of industry experience and know-how, with members selected by the Red Meat Advisory Council for their industry skills and expertise, and not for their affiliation to any particular organisation (see list of committee members below this article). The committee has met with 30 industry bodies so far and will meet with a further 10 before the end of August. It will then enter an external consultation process before developing a draft plan to be circulated later this year. The final framework should be in place by March 2017. Five months into the task Prue Bondfield said it was only now becoming clear how the plan is likely to take shape. She said it will not be a marketing plan, and it will not be a list of regulations. “It is neither of those things,” she said. “A lot of industry organisations we have spoken to about this process initially viewed it as a document that the industry could hold up and say this is a wonderful way to show off our credentials, and others have said here is a book of regulations that regulate our industry in a whole lot of different areas. Nor does the term “clean and green” apply, Mrs Bondfield said, describing the term as out of date and no longer relevant. The plan will incorporate economic sustainability factors, not just environmental, social and animal welfare factors. “When we added the word thriving it all came together for us,” Mrs Bondfield explained. “That captured for us the profitability and economics of this. So what is the Australian beef industry’s definition of sustainability? Four themes that came from the Meat Industry Strategic Plan – Cattle, Cash, Country, Community – will also form the four pillars of the framework, under which specific issues, and indicators to measure the industry’s progress on each, will flow. A key task for the steering group is to determine which indicators to incorporate. The US cattle industry identified 140 possible indicators before distilling that number down to six. “That is our challenge, to find the indicators to build into our framework that are actually going to be relevant and credible, that have substance and can be measured and there is transparency involved. Some in the industry have questioned why the industry needs a sustainability framework. In response to an audience question along similar lines on Wednesday, Mrs Bondfield explained that the consumer preferences were changing and the Australian beef industry could not afford to get left behind. To a certain extent consumer preferences were being shaped not just by consumers themselves but by retailers trying to secure a competitive advantage by marketing their product as humanely produced. But ultimately it was clear that the world was becoming more “sustainability-centric” and consumers, young and old, wanted to feel good about the food they ate. “We are all consumers, it is about how we feel about that product that we eat, and I would rather feel good about that product we eat. “There is a real thread involved now and it comes from accounting firms who turn off lights and don’t run their air conditioner as hard as they used to. “Corporate responsibility now is just part of life in the corporate world. “Those people who are working in that environment, it then reflects on the food they eat as well. The beef industry is also set to draw on an idea the dairy industry has successfully employed to ensure it stays in touch with changing sustainability issues going forward. Specific issues of concern to stakeholders can change regularly, as a recent report alluded to by Mrs Bondfield on Wednesday showed. She said the report, which gauges consumer perceptions and has not yet been released publicly, has identified that animal welfare during transport has suddenly emerged as one of the most important issues of community concern. The dairy industry went through a similar sustainability framework process a few years ago and now has a consultative committee which meets to discuss changing sustainability issues on a regular basis. “I have attended one of their forums and it is fantastic because they have got all of the stakeholders in the room, and they are getting updates from banks and NGOs (non-government organisations) and retailers on what is happening, what is changing, and the issues that are arising and the issues that are not so important any more. Prue Bondfield (Chair), Queensland cattle producer and seedstock operator with a background in law and project management. Tom Stockwell, Northern Territory cattle producer and previous DPI manager from Katherine with over 20 years experience with research and extension in northern cattle operations. Tony Hegarty, New South Wales cattle producer with a focus on natural resource management and almost 30 years involvement in the Landcare movement. Pip Job, Over 20 years as a cattle producer and 10 years as the CEO of the Little River Landcare Group. Pip currently leads a new initiative within the NSW Department of Primary Industries creating tools and resources to support farming families and business. Richard Rains, Over 40 years experience promoting and selling Australian beef to the world with a strong understanding of the Australian beef supply chain and what our major customers are requiring. Tess Herbert, Director of a sixth generation cattle business with successful feedlots in Central and Southern NSW and a commitment to animal welfare and innovation in the feedlot sector. Jim Cudmore, Led the review of how the Australian beef industry should promote its sustainability credentials which was the precursor to this group being formed and a former feedlot manager and well respected industry veteran. Mark Inglis, Background in animal husbandry and animal production in a broad range of properties including cattle properties in Western Australia’s Kimberley. In his current role, he has developed a detailed understanding of emerging customer requirements around production practices. Tom McGuire, Tom has been involved in the Australian meat industry since 1997 and has a deep understanding of the Australian beef supply chain and what international customers are requesting the Australian industry to demonstrate in the areas of sustainability. Dr Peter Barnard, Over 30 years experience providing market information to the Australian beef industry and assisting the industry during Free Trade Agreement negotiations. Greg Brown, Northern Queensland cattle producer with extensive experience in natural resource management and understanding supply chain demands. Excellent initiative. Just hope that there is the monetary returns for producers who chose the sustainability or regenerative route for their businesses. Having spent a lot of time researching soil carbon sequestration, I agree with Deb Newell about the need for greater research of the biomass that is below the surface and how it can be leveraged for better productivity for both the land and cattle. We don’t know what we don’t know when it comes to soil biosphere…the next big disruptive leap for the cattle industry could be held in the dirt beneath our feet. At the end of the day…money talks…so it would be good to all have a sustained positive net income as a legitimate outcome from the framework. Looking forward to the final results. Well done Prue and team. Prue I consider ‘sustainable’ just as hackneyed and trite as ‘clean and green’ and I have a Masters in Environmental Management in the Field of Sustainable Agriculture. I was also offered a PhD scholarship in the same by the Primary Industries Innovation Centre about 10 years ago so I have had some serious contact with the concept and delivery of ‘sustainability’. Sounds good but it all comes down to equations such as the cost of the input/effort of changing a landscape versus income returned. The problem is that the cost to the landscape must address below the surface issues – at soil level – and this is where the effort to clear, flatten, plough, plant, irrigate, fertilise, spray, harvest, store, steam roll and transport grain to feedlots that have their own infrastructure costs just loses out in comparison with grassland/open woodland production. Be careful of defining yourselves by the over-used and now abused term ‘sustainable’. The equation required of sustainability is why the economics aren’t adding up at feedlot level. Far better if your beef producers realised that the advantage of cattle over crops is mobility so they should form agricultural partnerships or consortia to keep cattle moving to the green which was the natural and sustainable intention of these herbivorous rangeland managers. That is before fences and land ownership put a stop to the natural migration of grazers. If you really want to think of something very serious perhaps your group should look up the role of methanotrophs in soil and how nitrogenous fertilisers affects them re sustainability. This will be the next big issue re agriculture and its sustainability. Remember there is a greater biomass beneath the soil’s surface than above – whales, rainforests, humans included. We just haven’t identified most of these life forms as yet but they are the backbone of landscape/environmental sustainability and economic return. Congratulations to the Steering committee for Sustainable Beef Production in Australia. For once this committee seems to be on the front foot and forward of all our last generation thinking, when it comes to beef, animal welfare, consumer needs and mostly the People who produce the beef as their lifetime work, being put in the forefront of a sentence about sustainable beef production. Good work and planning I will be listening with interest. I get a strong feeling that the industry will be on the front foot for the first time in a long while in this area due to the work of this group. Strong thoughtful leadership and a well put together committee. Well done so far.